Lost Creek Campground is for tents only and has 16 campsites. 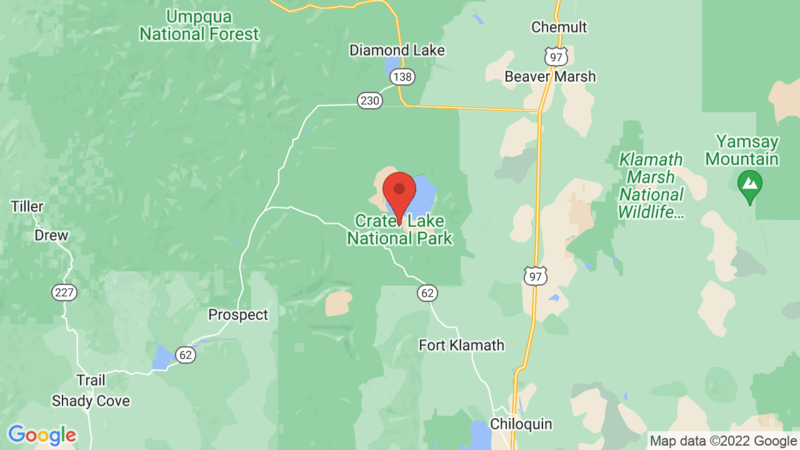 It is located in Crater Lake National Park, just a few miles from Crater Lake’s rim. Campsites are first come, first served. Campground amenities include drinking water and vault toilets. Each campsite also has a table, food storage locker, fire ring and grate. Sites can accommodate up to 8 people and 2 vehicles. The main attraction is visiting the spectacular, incredibly blue Crater Lake. Hiking and photographer are also amazing. Other outdoor recreation includes backpacking, picnicking, mountain biking, swimming, fishing and wildlife viewing. There’s also some nice exhibits at the visitor center and an evening ranger programs at the amphitheater. Other campgrounds in the area include Rogue Elk, Farewell Bend, Hamaker and Mazama (also in Crater Lake National Park). Visted Lost Creek Campground lately? We'd love to hear about your adventure. Did you find us useful? Did we forget something? Anything our community should know before heading out to Lost Creek? We were lucky to have found site 12 available on a Monday at noon. This site was nice and flat and right by a water spigot and recycle/trash bin. You can hear the lost creek at night. The view of the milky way and the stars is amazing. It’s a short drive to the most beautiful sights in the park. The pictures on this website for Lost Creek CG might be outdated. There are far fewer trees. They are now free firewood on the ground and I admit we liked that. The sites were nice and clean and there were spacious critter lockers. The restroom was also clean except that the Women’s side had no light. I give this site three stars only because there is absolutely no supervision at all. There was a parade of cars that circled the campground kicking up dust and looking for a spot for hours. Even late at night cars would drive by. A simple sign at the entrance that says Campground Full would help keep the traffic down. The best and most quiet sites are 1 – 4 on the left of the bulletin board when you first drive in. I would camp here again.